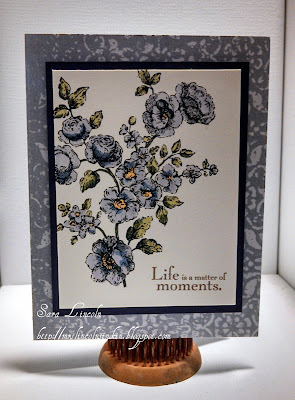 Hello everyone, welcome to another Friday Video here at Mrs. Lincolns Inkin'!! Today's video is of the Wax Paper Resist Technique. I posted a card awhile ago using this technique and thought i would showcase it in a video. You can check that post out here. This technique is so fun and easy to do. 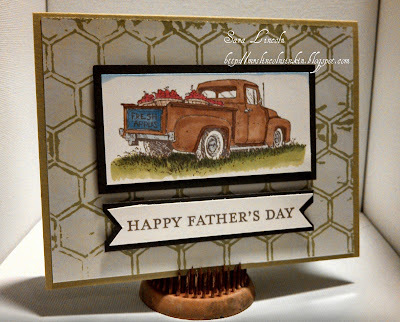 Here is a look at another card that i showed in my video, a Fathers Day card which i used the Honeycomb Embossing Folder. Thanks for this. You can also put another piece of paper on top and get two backgrounds at the same time. If you do this with non-glossy card, it had yet another look, but it works too!